During a bathroom remodel, you spend hours deciding on wall materials, flooring options, decor and paint colors. These elements of the bathroom take up a lot of space, so it’s practical to be careful and thorough as you plan. In the overall scheme of a bathroom, the sink faucet might seem like a non-essential detail, but its design can set the tone for the whole space. Faucets for your bathroom sink are the ‘crown jewels’ of a bathroom remodeling job. They not only come in a wide range of styles and shapes, but they also are available in an array of finishes. Gone are the days when plain chrome faucets — just like the ones your parents and grandparents used — are used in bathrooms. Bathroom faucets are the kind of small details that you almost never notice until you are remodeling the space. Designed to control how and where water flows in the sink, faucets are necessary bathroom fixtures, but they’re available in a seemingly endless number of materials and designs. For many homeowners, faucets are the finishing design touches of a bathroom. Therefore, it can often be difficult to make a decision about something that feels like an extra, but necessary feature. Single Hole Faucet. These faucets have a single lever attached to the spout. It only requires a single hole to be drilled into the sink. Typically creating a modern look, these faucets also conserve space by taking less of the counter. This sink type is most often found in small bathroom spaces. Centerset Faucet. This type of faucet either has one or two handles that are all mounted on a six-inch plate. Most bathroom sinks can accommodate the center-set faucet making it an ideal choice for all types of bathroom remodeling projects. Widespread Faucet. – These types of faucets have three individual pieces that work together to deliver water to your bathroom sink. The faucet is a bit larger on average than compared other models and types of faucets for a bathroom sink. Wall Mounted Faucet – This type of faucet is gaining in popularity, especially with all the new freestanding sinks that are available across the market. Ideal for vessel sinks or other designs without faucet holes, this type of faucet requires access to the water supply through the wall, which may require some rerouting work. 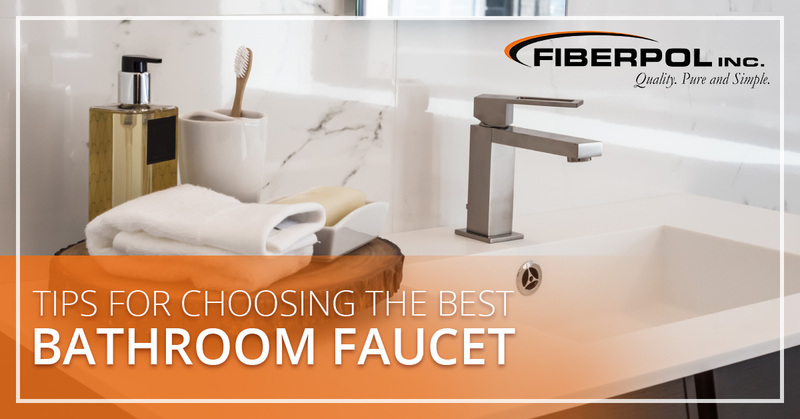 In order to determine which faucets fit your bathroom best, here are a few questions that are worth considering for your remodeling project. What Faucet Fits My Sink? The sink that you’re using, whether it is an existing sink or an entirely new ensemble, has a direct impact on the faucet you will be selecting because you need a faucet that fits the hole opening you have. If you are retrofitting your faucet to a sink you have had for a while or you’re buying a new faucet to go with a new sink purchase, determine exactly what type of hole you need to accommodate — single-hole, centerset, widespread or wall mount? What Faucet Finish Do I Want? There are a variety of finishes to choose for your bathroom faucet. The finish of your faucet is like the icing on the cake can really complete the look of your newly remodeled space. Some finishes to consider for your bathroom sink faucet include: polished chrome, brushed chrome, polished nickel, brushed nickel, hammered nickel, stainless steel, bronze, brushed bronze, oil-rubbed bronze, ceramic and so much more! Knowing how much you can afford is an important factor when shopping for faucets, helping you to avoid overspending and regretting your remodel. Using the budget that you have set for your bathroom remodeling project, determine which faucets and features fit into that plan best. Another effective method for gaining remodeling inspiration is looking at ideas in similar homes. Whether you look inside your friends and family member’s homes or do an online search, see what style and types of faucets are used. That might help you determine what style and type of faucet you want to flaunt in your newly remodeled bathroom. These are just a few of the many questions you should consider when thinking about the faucet that best fits your style and needs. If you are still struggling with your decision, the remodeling company you work with should be able to help you find the ideal faucet for your bathroom. If you are doing a bathroom remodel in Barbados, contact Fiberpol! We carry both faucets and sinks for your project. We have a selection of CAE bathroom faucets, including beautiful vanity faucets that are designed to last. For more information about our bathroom faucets, or any of our remodeling services, contact us today!